Cashews are loaded with just about every nutrient you can think of, from iron to zinc to magnesium. We welcome the opportunity to add more of this nut to our diet! 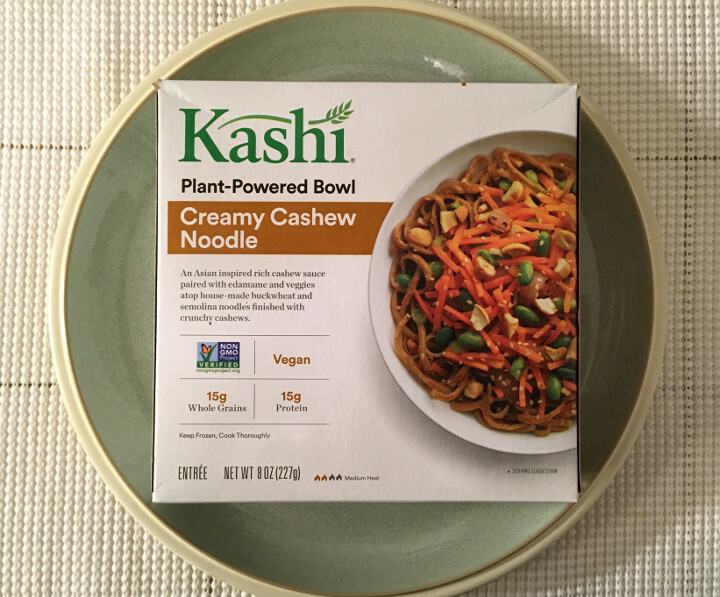 When we saw the Kashi Creamy Cashew Noodle Bowl — a vegan, cashew-loaded meal — at our local grocery store, we knew we had to try it out. This is a fast and simple meal that’s perfect for a quick lunch. 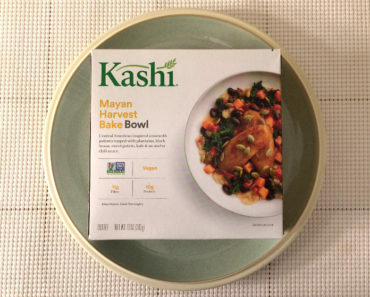 Your meal will be microwaved and ready to eat in minutes, and it doesn’t take long for the dish to cool. It doesn’t require anything special; the only thing you have to do is give the noodles a quick stir midway through the cooking process. These noodles have a very light, creamy flavor that borders on bland. The slightly sweet taste of the cashews keep these noodles from being too plain. There are a lot of textures at play here, which does a lot to enhance the dish. 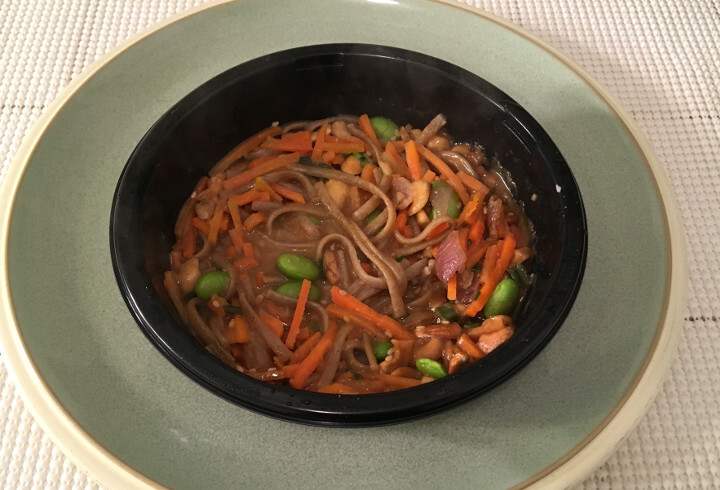 The noodles are soft enough to twist on a fork and the edamame has some nice crunch to it. 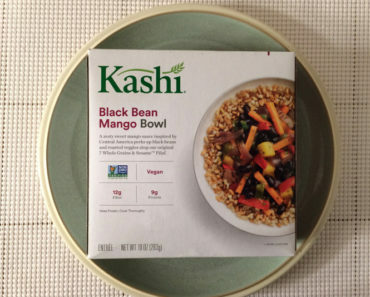 In addition to the cashew sauce, there are extra pieces of nut sprinkled on top of the dish. 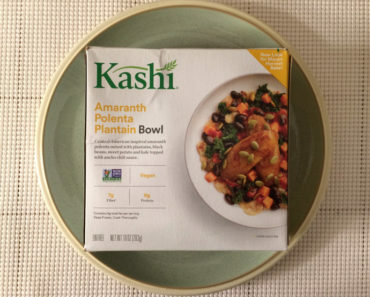 Kashi specializes in healthy food, and they definitely deliver on this meal. 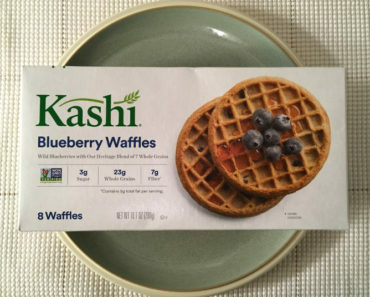 The dish is just 360 calories, and it contains 15 grams of protein, which means it’s quite filling. It’s a little high in carbs, but it’s also packed with iron, vitamin A, and potassium. 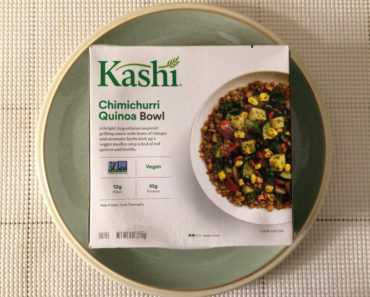 If you’re looking for healthy frozen lunches that you can take to work, or if you’re trying to find simple vegan meals you can prepare at home, Kashi Creamy Cashew Noodle Bowl is worth checking out. It didn’t blow us away, but we liked it, and it’s definitely the kind of food that makes us feel good. 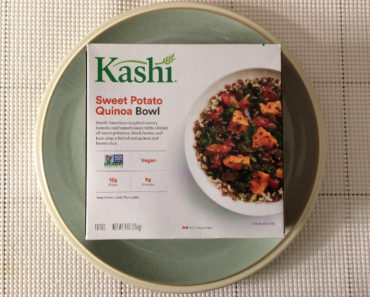 To learn more about the ingredients, nutrition content, or cooking instructions for this frozen noodle bowl, check out our package scans below.